My mom makes the cutest cartoon! I visited my folks over Christmas break. My mom and I went shopping together on her birthday. We had a great time, but that woman can run me into the ground! This entry was posted in Art, drawing, Humor and tagged cartoon, comic, Drawing, family, funny, Humor, relationships, Shopping. Bookmark the permalink. 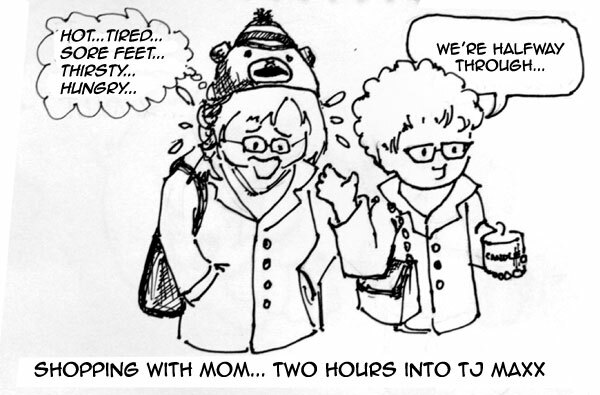 1 Response to My mom makes the cutest cartoon!